The Imperial Guild of Mages serves the Eternal Empire of Koth by teaching, practicing and developing all aspects of the art and lore of magic. The guild runs academies, libraries and centers of learning across the Eternal Empire. In addition, the Imperial Guild of Mages serves the people of Koth by producing all manner of magical effects, devices and applications of magic. The guild serves to protect the citizens of the empire from the malicious use of magics, baleful arcane effects and powerful magical creatures. Imperial Mages support every other Imperial Guild , the Legions of Koth, all levels of nobility and citizens throughout Koth with their craft. Imperial Mages manage the teaching, use and policing of magics and their use throughout the empire. The Master of the Guild is the appointed leader of the Guild in the territory. The Guildmaster is responsible for all operations, all members, all resources and all tribute of the Guild. The Guildmaster sits on the Council of Guilds for his organization, representing its interests across the territory. The Master of High Magic is the appointed leader of the Guild in the territory who oversees the research, development, casting and regulation of high magics, also known as ritual magic, in the territory. The Master of the Library is the appointed leader of the Guild in the territory who oversees the chronicling of events, phenomena, persons and more. The Master of the Library is also responsible for sending records back to the Imperial Seat. The Master of Knowledge is the appointed leader of the Guild in the territory who oversees the training mages both old and new including the curriculum of the various academies and schools across the territory. The Master of Antiquities is the appointed leader of the Guild in the territory who oversees the crafting and collecting of magical items and components. 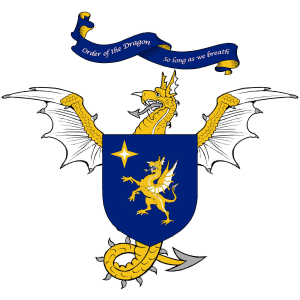 The Dragon is the head of the Celestial Order of the Dragon within the territory. This position makes him an officer in the Imperial Legions, typically a Lieutenant. A prospective member must first become an Applicant. Applicants who are accepted into the Guild are made an Apprentice. Apprentices who have demonstrated proficiency and loyalty advance to Acolyte. Acolytes who show expertise and leadership may be granted the title of Wizards. 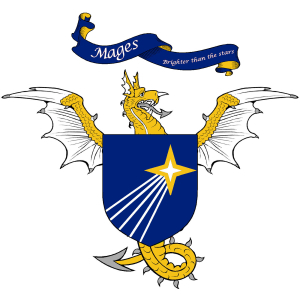 Wizards who master their craft and display unswerving dedication may be granted the title of Master or Mistress. Applicants who are accepted into the Guild are made an Sentinel. Sentinels who have demonstrated proficiency and loyalty advance to Spell Guard. Spell Guard who show expertise and leadership may be granted the title of Celestine. 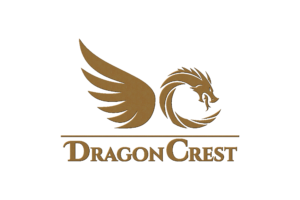 Celestines who master their craft and display unswerving dedication may be granted one of the special titles of Drakes. The Master of the Hall is responsible for running a local Guildhall. The Master of the Hall will report the Guildmaster directly, sending regular reports and ledgers to the main Guildhall. A traveling guild member who is not attached to a specific guild hall. A sorcerer hires his skills out to citizens of Koth as magical support of various endeavors such as spells of protection and hunting magical creatures. Sorcerers are informally known as sellspells. A member of the guild who harvests and crafts arcane items. Many Theugists simply make potions and scrolls, but more talented ones produce other items of magic. Why join the Imperial Guild of Mages? You have a gift for or interest in things arcane. You seek to explore the boundaries of magic, discover lost spells or invent new ones. You covet power, the power to change the very world around you. You want people to respect your knowledge and skill. You want to see your hands glow brightly with the color of your magic, like the great magi before you. Whispers about the Imperial Guild of Mages? They take away more than just the dangerous magics and those that wield them. They are hiding what really happened… They have been writing and rewriting their own history for thousands of years. They think that everyone has a secret and they want all of them. They perform experiments all the time and some of them they conveniently save us from. If they have all the magic, what can stop the mages? The Master of the Guild is a venerable solinari, originally from the Sunset Isles off the western shores of Koth in the Abysmal Sea. Aurellius is a accomplished in all known magics, especially those of Force, Time, Glamour and Fire. He served with the great General Dekken Tarses as his Magi during the conquest of Pan Orda. Guildmaster Aurellius often tours the colony teaching at the local schools and seeking those who show the potential to wield magic. It is often said, that if you can’t find the answer to a question, just ask Aurellius. If he wasn’t there himself, he studied it extensively. If he doesn’t know it, it is a mystery well and true. The Master of Antiquities of the Imperial Mages Guild of Dupree makes his home in the city of Nimagne in the Landsgrave of Rhodos along the western edge of the Sorrowwold. Urwen is a gnome of impressive stature and girth who originally hails from Annwyn along the shores of the Sea of Lights. Known for his love of spectacles and hats which he is never without, Master Gannau is a skilled crafter, able to make scrolls, potions, charms of tremendous skill and artistry. His work earned him renown among the Azuryn Clouds of Gaelon, a respected society of artists in the Imperial Entertainers of Annwyn. He is responsible for crafting all of the Guild’s arcane blazons. He has a weakness for his pipes, a habit he picked up working closely with the Entertainer’s Guild in his youth. Mistress Ceolhir is a Silvani from the great forest of Titanwood in the Imperil Province of Waelan. She spent her youth among the massive trees of that stand sentinel against the powerful surges and elemental onslaughts of the southern Sea of Storms. Here she learned the ancient lore of her people and joined the Imperial Guild of Mages in Cynefiness where Velassa collected lore across the southern regions of Koth. She was originally sent to Haelos to learn the secrets of its massive wolds for the Empire. Mistress Ceolhir spends her days among the great wolds as she was instructed, learning much of the Wyldewold of the Lochlands and the Wychwold of the Valelands. Her time in the Sorrowwold was short lived and she has yet been able to spend time in the Thornwold or Morvadul. She collects rare wood which she makes into wands, staves and trinkets with her carving tools.